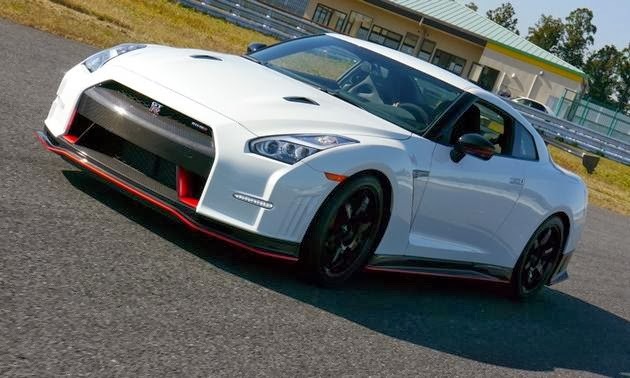 Mark Vaughn from Autoweek got a chance to drive the new 2015 Nissan GT-R, the 2015 NISMO, and go for a ride in the "Time Attack" NISMO that set a 7:08 Nurburgring lap time. The idea being to keep the tire on the ground so it can provide grip. Rather than say "soft," say the suspension is “optimized” for typical road conditions. Unless you have a billiard table-smooth racetrack, your suspension will need to absorb bumps without launching into space. The spring just keeps the bottom of the car from hitting the track. Nice to see this explained, and put into action. Most of the time "harder" feels more direct, but unless the track or road, is really smooth then you can end up with the tire bouncing up off the road. The GT-R already has run flat tires, with very stiff sidewalls, and add in a stiff spring and the ride can be very harsh. For 2015 Nissan is addressing this with a "softer" normal car, and then the NISMO to give the people that want a higher performance track car. 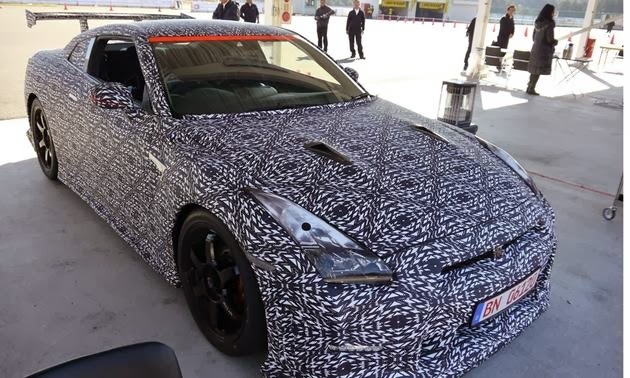 Here is what he had to say about the 2015 Nissan GT-R suspension refinement. While it is still powerful as all get-out, the entire experience is, indeed, greatly refined. The suspension is noticeably smoother than previous GT-Rs, yet it remained just as responsive. The cabin is quieter than before, and the interior appointments have more of a luxury feel. Hammer the throttle on the highway and the GT-R roars forward. They say that the differences between the standard NISMO and Time Attack car are worth about 10 seconds. So the NISMO is on pace with the 2014 car? Nissan did claim a 7:18.5 for the 2014, but it was a little bit of an odd claim, as they said there was some traffic. The price for the NISMO is stated to be 15,015,000 yen, or about $150,000. This is about where we guessed the price would be. How much more will the Time Attack car be? Will it even be available in the US? Time will tell.